Connecting things to your phone using Bluetooth makes them smart. We know this buy now (by*, sorry, easy mistake). Tech companies have been feeding us this concept long enough for our bodies to digest it. And when they start to heat up from an adverse reaction, fortunately there's a smart gadget out there that can let us know. Blue Spark's TempTraq Bluetooth thermometer is now available for purchase. You can snag one for $25. We've covered the TempTraq before, back when the product was still undergoing FDA review. Six months later, here we are. 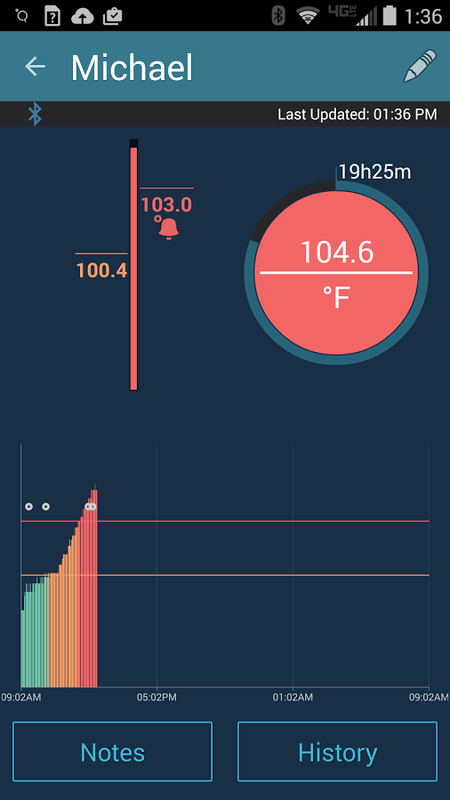 I should take this moment to point out that the TempTraq is hardly the first Bluetooth-connected thermometer. Temperature is so easy and obvious a thing to send over a wireless connection for someone to have taken this long. No, what makes TempTraq stand apart is how long it's in use. This product is designed to provide you with continuous readings for up to 24 hours. The product, which can spare you from having to regularly disturb a sick child, is able to send readings every 10 seconds. The product itself is a patch similar to an adhesive bandage. You stick it under your child's arm. 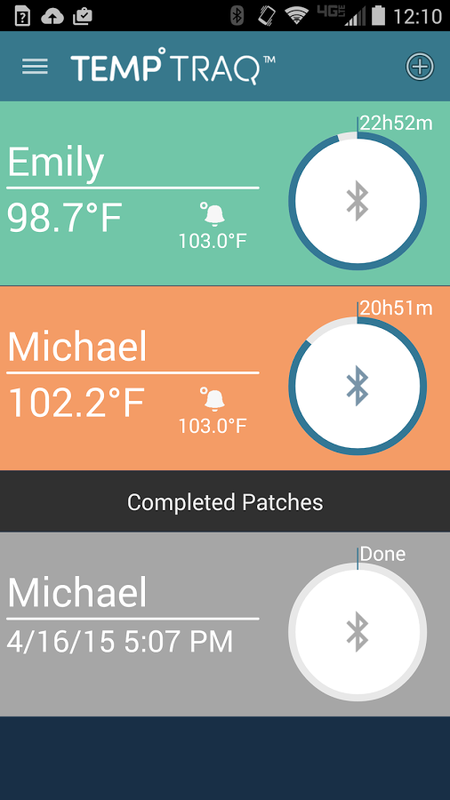 The companion app doesn't just provide the current temperature, it offers a view at how the data has changed over time. And it sends alerts when your kid's temperature rises into the red zone. This can save you from having to check up on the baby as often. The thing is, Bluetooth connections can drop and batteries die, so you're probably going to want to keep a close eye nonetheless. And if they start crying, there's a smart way to deal with that too. CLEVELAND, OH--(Marketwired - May 18, 2015) - When a child is sick and has a fever, the very last thing a parent wants to do is cause more pain or discomfort. 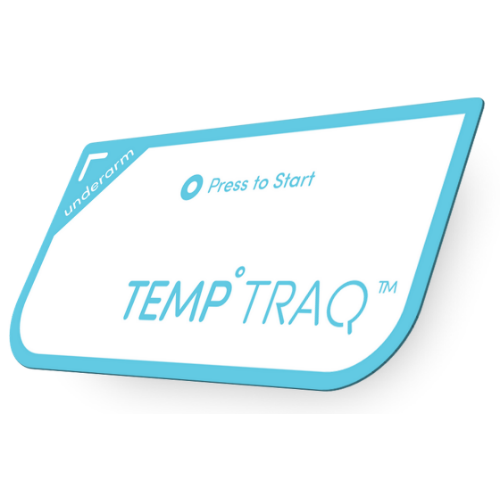 TempTraq™, the only wireless, wearable, intelligent Bluetooth® thermometer in the form of a soft comfortable patch to ease parents' worries is now available on www.temptraq.com. It's the first thermometer to continuously monitor body temperature for 24 hours and send alerts to mobile devices through the specially designed, free TempTraq app. Ideal for today's busy parents, TempTraq provides much needed peace of mind by delivering on-the-spot temperature readings in just seconds. The wearable thermometer alleviates many concerns of those caring for an ill or recovering child, including eliminating the need to continually disturb or wake a sick child to take his or her temperature. 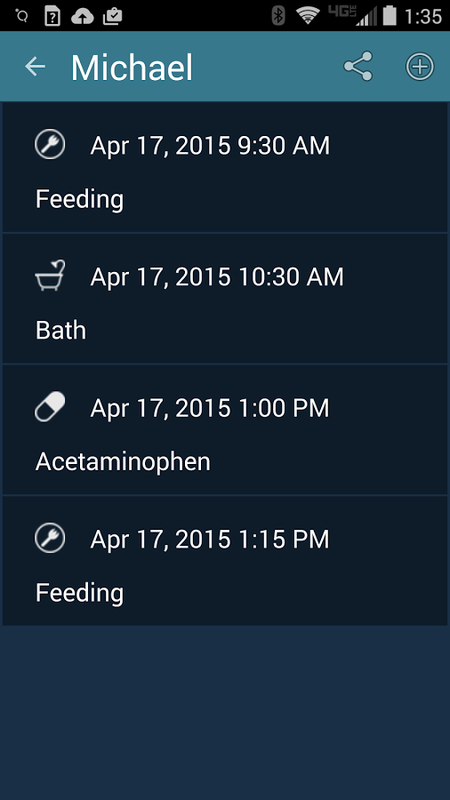 Now available for sale, TempTraq is truly the only way for parents to monitor their child's health and recovery. TempTraq includes a free downloadable Apple® or Android™ compatible app, allowing users to reach a new level of health care for children of all ages. "TempTraq allows parents to keep a close watch on their child's temperature without having to continually disturb them, while also gathering crucial data every 10 seconds for up to 24 hours," said John Gannon, president and CEO of Blue Spark Technologies. "According to our trusted physician advisors, temperature is the most important vital sign. The more data health care professionals have, the better their ability to see trends in the temperature readings and help a child get better." Dr. Joseph Hahn, retired Cleveland Clinic chief of staff and vice chair of the Board of Governors, and current executive in residence at Cleveland Clinic Foundation Innovations, agrees. "TempTraq is the future of consumer and clinical e-health care. The ability to wirelessly monitor a patient's critical vital signs in real time gives them the care they need while freeing up nurses and physicians to focus on their well-being. TempTraq can follow a patient home, providing their care provider with the critical information they need." All parents have to do is press the "start" button to activate the thermometer and connect it to the app via the unique code provided. Then, apply the thin, flexible patch thermometer to the underarm of the child, similar to an adhesive bandage. As long as the caregiver is within range of the thermometer, they can easily review data and receive alerts, up to 40 feet away. 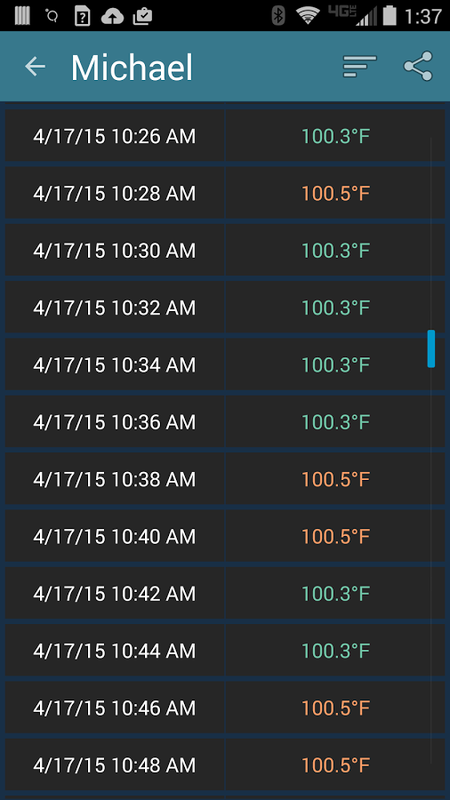 Highly accurate, the TempTraq thermometer measures temperatures between 87.0 and 109.3°F. 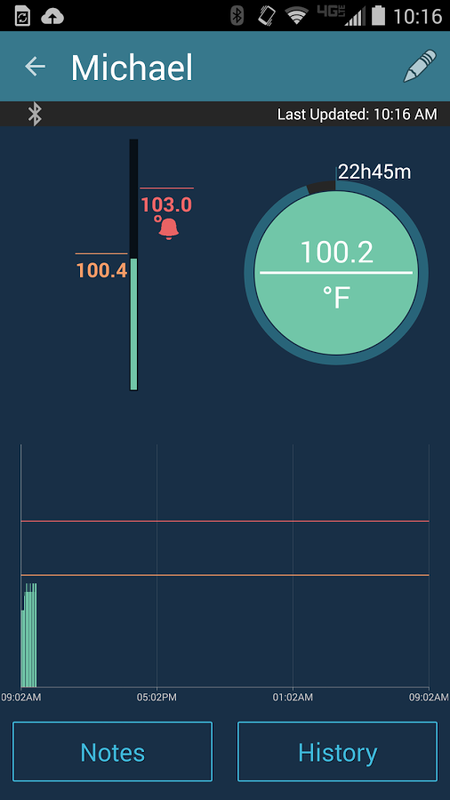 Unlike other devices that provide users with only one point of data and offer no continuous monitoring or alerts, the TempTraq app displays both real time and historical temperature data transmitted from the patch in graphical or tabular view, making it possible for caregivers to see fluctuations and quickly adapt treatment. TempTraq further simplifies the temperature reading process by providing easy-to-follow colors that indicate temperature levels: Green, less than 100.4°F; orange, equal to or greater than 100.4°F; red, equal to or above the user-set temperature alert level. Caregivers can even receive alerts when a child's temperature enters this designated red zone. TempTraq is available now for $24.99 at www.temptraq.com. Developer: Blue Spark Technologies, Inc.